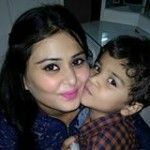 Parenting >> blog >> Pregnancy >> Life after baby: Riddhi shares how things change! It is not too long since the 40s were considered way over the hill to enter the labyrinth that is motherhood. Today, however, things have changed and age is no longer a bar for Gen-X mothers. A case in point is famous choreographer and film-maker, Farah Khan, who delivered healthy triplets at Jaslok Hospital Mumbai, and joined a growing group of 40-plus women stepping into maternity. After all, Hollywood’s reining sirens Salma Hayek and Madonna too were in their 40s when they gave birth to babies. Even gynaecologists insist that between 25 and 30 years is the ideal time to conceive and deliver, however more and more urban women are defying this age factor, as they take long strides in their careers and push motherhood for a later date. The age between 25 and 30 years is quite crucial for women, for it is the time when she can make huge leaps in her career or let go of everything and embrace motherhood. Thanks to the boom in medical technology and infertility treatment, urban women don’t have to be scared of either their ticking biological clock or staying infertile. Women were often forced to choose between the career clock and biological clock, however, thanks to the progressing times and advanced medical technology women have options to choose from rather than having no choice at all. A mother is a mother is a mother, whether she is young or old doesn’t really makes a difference at least to the baby because every mother is a good mother. Health apart, when it comes to developing a relationship with a child, who wins- the younger mother or the older, more mature and financially stable mum? 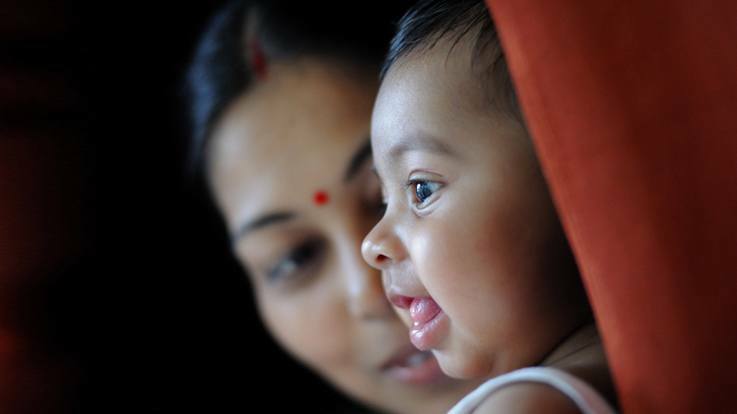 Sociologists believe that this entire perception of ageing has altered over the years, and it isn’t strange for motherhood trends to alter accordingly. Women today are living longer; the 60s are indeed the new 40s. Both younger and older women have their own benefits and drawbacks.” There are scores of advantages in having children later in one’s life.” Often an older women has done all that she wants to do in regards to her career, spending time with her spouse, developing her own interests, etc., and she is mentally prepared to take on the greater challenges and responsibilities of parenthood. She is not caught up with her own growing up; she is better suited to understand her child’s changing needs. Motherhood is far more taxing these days, and mothers have to be readied to handle multiple everyday jobs. Retaining the same energy level may be a matter of concern for an older mum, but women are also looking after themselves better. Experts have same opinion about younger mums come with their own brand of pulsating energy that is beyond doubt. Between 25 and 35, a mother-child grows together. Once the child is a teenager, the mother is young enough to get on with her life, but may have missed some important career opportunities. Nevertheless, when it comes to young mums versus- older debate, it looks that jury is still out on that one. This is quite an interesting topic. I feel motherhood should purely be a decision. A decision about when you want to enjoy & go through the greatest event that happens in ur body and ur life. It is a phase, and it's ur right to choose when to do it. Age really doesn't matter. A clear mental status is what is most important. It's finally a question of how smoothly and peacefully u want to handle it. Postpartum Mood & Anxiety Disorders..
Signs Of Postpartum Depression- Lon..
Hi moms... I want to ask about electric breast pum..